Northland Vietnam Veterans' Association (NVVA) - has been helping veterans and their families throughout Northeastern Minnesota and Northwestern Wisconsin for more than 30 years. The manner in which help is provided continues to change in response to the needs of the veteran community originally, the organization formed a rap group for combat veterans to talk about their experiences, and later campaigned to establish the Vet Center in Duluth to provide counseling services. 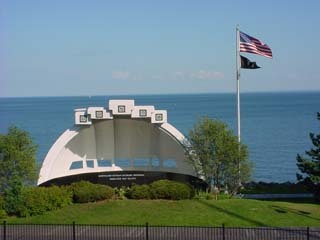 The Northland Vietnam Veterans Memorial, which is located on Duluth's Lake walk, has been part of a healing process for veterans from the Vietnam War and for those close to the veterans, beginning with the planning of the Memorial, construction, and ultimately to the observances held at the monument up to date. NVVA has assisted in providing various services for veterans, including transportation to medical care, enhancement of recreational opportunities, and medical equipment for those in long term nursing care, transportation for family emergencies, emergency disaster relief, employment-related expenses and various other services, all provided through association with established agencies and organizations in the area. NVVA helped with the establishment of Veterans Outreach North (VON), a program of the Minnesota Assistance Council for Veterans (MACV). As a part of a community of service providers, NVVA recognized the need for more direct services specifically for veterans. Serving veterans and their families in need by addressing housing, health, employment and related issues, VON utilizes existing community resources and encourages independence of clients. Most recently, NVVA has joined an international effort to build schools for children in some of the poorer sections of Vietnam. Board Meetings are at 6PM on the 4th Monday of January, April, July, and October. Members are welcome.